How do I describe my first trimester? EXHAUSTING! I am beyond fortunate that I am not one of those women who experiences morning sickness, but what I do have is unimaginable exhaustion… like instantly. That was my first clue that there may be a little on the way when I no longer had the energy to even marathon Netflix let alone think about blogging, along with maintaining any level of parenting. The exhaustion was so much stronger this time around, mostly because unlike during my pregnancy with Monkey I am not really able to sleep until noon on the weekends and nap after work, because my toddler is more into play time than nap time. Adding to the exhaustion was the INSANE number of appointments. Due to Monkey’s prematurity and the complications that arose after his birth my medical team wanted to be sure of our dating to make sure if we are faced with a premature birth again that baby will receive all the medical care they need. As frustrating as it was going to so many appointments and having so many ultrasounds in the first trimester, I am thankful to know exactly how far along our little one is. According to the dates the majority of doctors use I am 3 weeks further along than what I actually am. As a Mama practicing NFP I was off by a single day… but we all know what it can be like talking to doctors about something that they don’t always understand or doesn’t fall into a textbook situation. But in the end I was right and I am glad that baby will get what they need in the end if necessary. So for those of you who are wondering my first trimester was full of napping when Monkey was napping, heading to bed early and getting myself organized so that life will run a little smoother. Exciting Moment: At 12 weeks I felt baby move for the first time. It was slight and fast and only felt it a few times, but now that I know what a rolling baby feels like I know that’s what I felt. Before becoming a Mama I knew a few rules my littles would definitely live by, like no screens before 2, no sweets until preschool, and no cosleeping. Lol I love how I thought this would a realistic, it shows how young and naive I really was about this whole parenting gig. The first rule, no screens stems from the barrage of Facebook parenting experts posting articles stating the screens are the root of all evil. That if your child even glances at a screen before the age of 2 you will be battling the screen issue for all eternity. These articles were not all anecdotal some of these sources were pretty credible like the American Association of Paediatricians, so with experts like that making the recommendations they must be followed right? Righ?!? I have to say that this was a rule we were really good at for about 10 months, but for this Mama who was fortunate enough to have a full year of maternity, but lives 20 minutes out of town and doesn’t function well when the isolation starts to make her feel like a recluse, she needed a little more than the sounds of talk radio during breakfast. So the breaking of this rule was completely selfish, I needed Monkey to give me just 10 more minutes to think straight in the morning, and get just a little more tea in me before facing the day. This is when Studio K, and more specifically Scout came into our lives. Scout is a purely Canadian show that will make any banjo loving, biodynamic eating, Hunter wearing millennial’s heart swell. The program is about 7 minutes in length and focus on the subject of mindful living and critical thinking through solving a daily mystery with 3 clues. 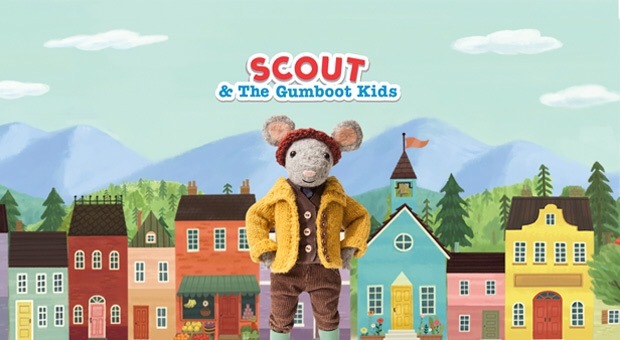 The first time I watch it I cried and wanted Monkey to be a Gumboot Kids too. This was then end of no screens for Monkey. Now his screen time is still extremely limited, but he can have a little screen time to catch up with Scout in the mornings with a sprinkling of Paw Patrol and Beat Bugs from time to time when Mama needs a little more time. My second thought on parenting was no sweets before preschool, because in all reality no one needs chocolate, or ice cream or cake or cookies right? 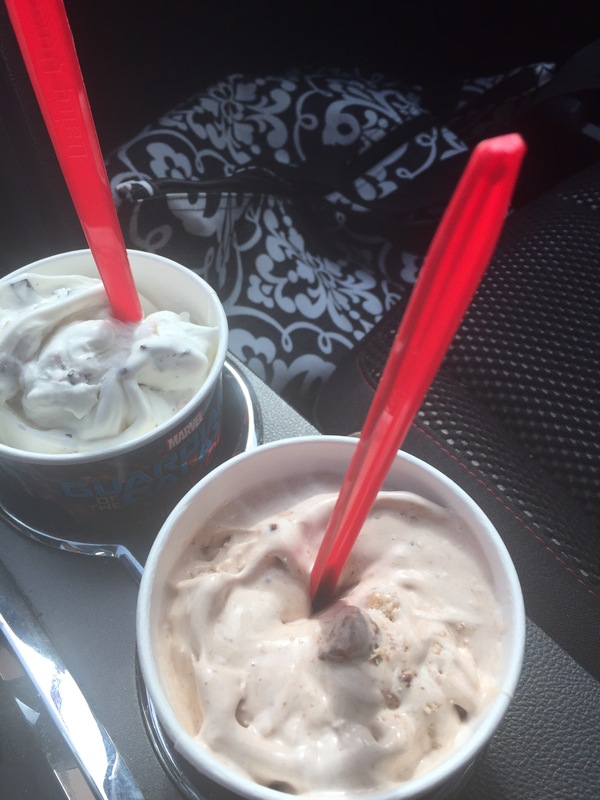 They are just refined sugar and have no health benefit whatsoever so why would I feed that to my little…. Ummm because if you only did things in life that had a physical, intellectual, financial benefits we would never have fun, or learn from our mistakes. And lastly the rule that we broke the fastest. Absolutely no cosleeping. We were not even really open to room sharing before Monkey was born. We wanted him to go from hospital to nursery. We thought why have more transitions than necessary, plus wouldn’t everyone sleep better if they were in their own spaces? Although I believe this is very true and if we are blessed with another monkey we will most likely not cosleep, there are so many benefits to doing so as well which is how we fell down the rabbit hole. When Monkey was discharged from hospital part of his discharge plan was that he room share. So we went out, bought a pack n play for him to sleep in. In the beginning we kept Monkey awake and when he woke up both Michael and I were both awake leaving no one rested for the day time. But eventually we all got used to one another and everyone was sleeping better. Then when Michael left to work out of town the cosleeping began, because it was just me and Monkey, all day for weeks at a time; and it was so much easier to just cosleep. And even though I believe there are wonderful things that can come from cosleeping, this is not for us. It caused far too many bumps in the sleep training road, but I am glad I tried it. After just over a year of Mommying I have come the conclusion that I was definitely a much better parent before Monkey came along! There are so many ins and outs and ups and downs that arise once your little comes you can’t even imagine how your points of view change. So for all you Mama’s to be out there, write your rules in pencil so you can adjust accordingly. And for all those Mamas out there adjusting their plan every day you are not alone… we are all making this up as we go along. What was your biggest parenting misconception pre baby? Let me know in the comments below! A well resrted baby sleeps best! Now I know this goes against all the advice you were probably given when your baby first came home… At least it did for us. 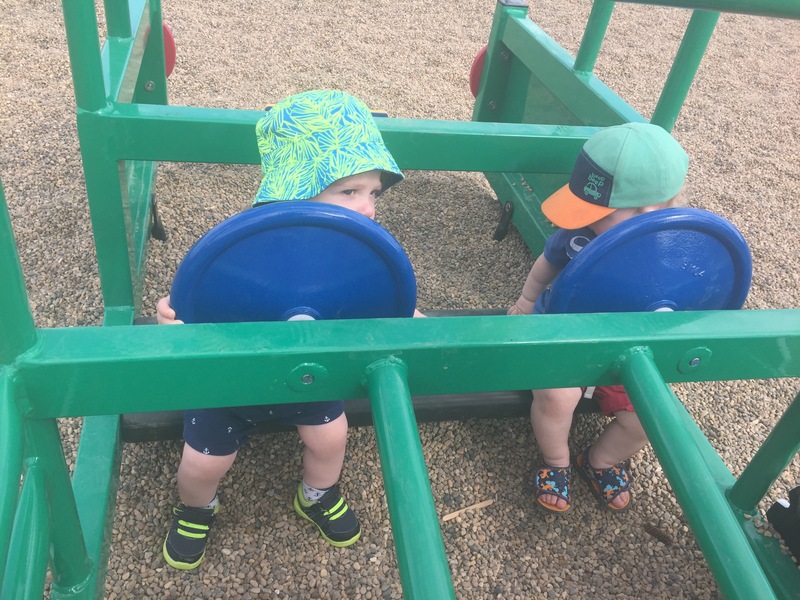 We had a ton of the “just keep them awake for as long as you can and then they will sleep through the night”, “don’t let them nurse to sleep you will never be able to transition them to day care”, “when my little first came home…..”. Thankfully Michael and I always responded to these comments with “Monkey was premature and has different needs than your child, but thank you for the thoughts”. And boy am I thankful we listen to our instincts on that one! At nearly 15 months old our little Monkey still sleeps about 4.5 hours during the day and 11 at night, and what I have discovered is when those naps in the day time don’t go so well, we find ourselves up a few times through the night and it can be a week or so to get us back on track. Leaving this Mama exhausted by the end of the turn around and usually a new tooth on its way to throw a wrench in the routine. And I’ll tell you after about a week of this we were napping amazingly and only getting up once for a feed at night. Now that night feeds are no longer necessary we have a little who sleeps all night, the majority of nights! In the beginning all this time sleeping had me worried that something was not quite right but my doctor reassured me that he is fine and to be thankful I have such a wonderful sleeper. 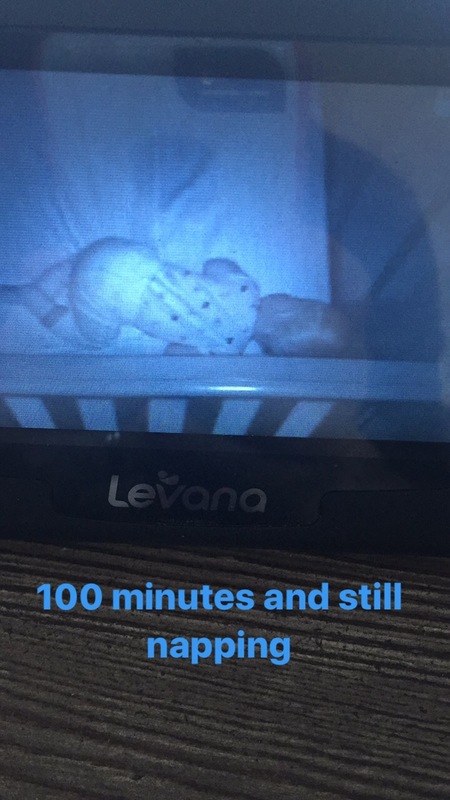 What really made me confident about the well rested baby is when we get all our naps and uninterrupted nighttime sleep in we have a little who is happy the majority of the day (no high chair or car seat tantrums), who eats his meals and seams to learn so much so quickly. I know every parent needs to do what’s best for their family, but I challenge you to give it a try. Good long naps in the day time, for a few days and hopefully your little will be sleeping through the night too. I know the rule around our house is “never mess with the nap schedule” for a reason… a well rested Monkey means a well rested Mama! 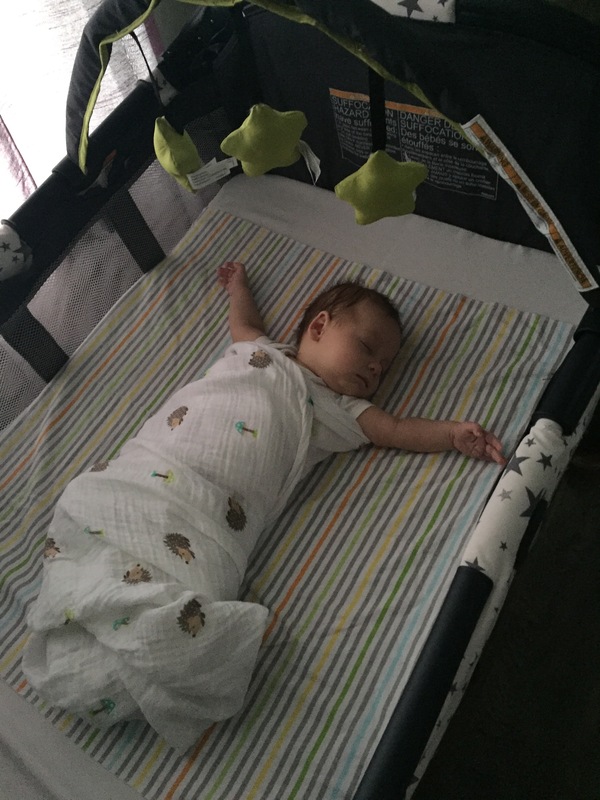 What are your tricks for a well rested baby? How did you get your little to sleep through the night? Let me know in the comments below! Cloth Diapering at DayCare… I just so happen to have won the lottery when it come to a day home provider for Monkey. Miss J is always upgrading her education, she likes reading Monkey’s discharge reports from his specialists so she can be on board with his routines, she makes everything served at meal times from scratch with the kids, but best of all she is a rare cloth diaper accepting provider! Finding a day home provider who would continue with cloth once I went back to work was a huge priority for me. If I was unsuccessful this last year of rinsing, washing, sunning, folding would have been for naught. Where cloth really become a money saver is when you are using them for years, stopping after one would really have been a disappointment. While other parents are buying cases a diapers and wipes and leaving them at the day care it takes a little more planning on my part to make sure that there is always fuzz for my Monkey’s bum. To start you need a good size diaper bag. I use an Expand-A-Tote from Thirty-One. 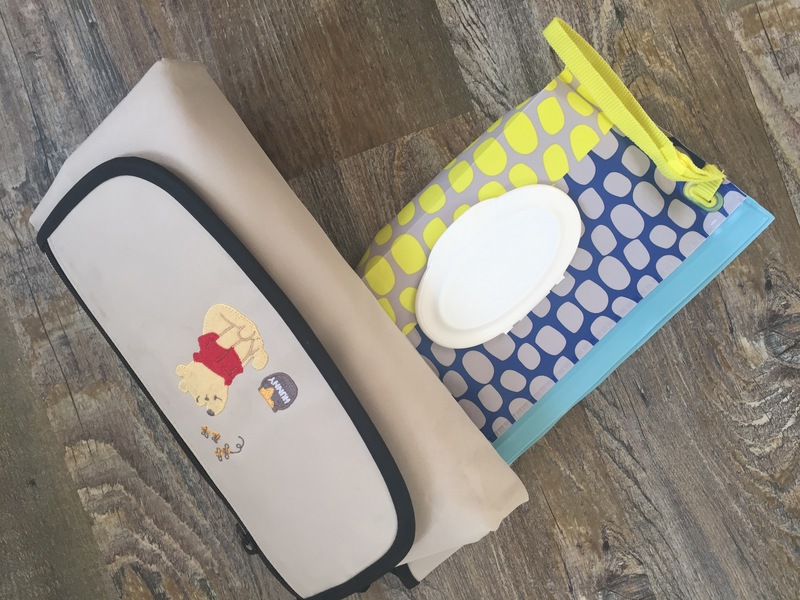 It’s a hostess exclusive bag that comes with 2 packing cubes that work great for extra clothes and orgazing all the little things that always get lost on the bottom the diaper bag. Plus it expands in the middle making room during those transition months when you are packing everything from shorts to a parka! Then you need to know how many diapers you will need to pack. Monkeys goes to see Ms. J 4 days a week right now and tends to go through about 3 diapers from drop off to pick up, if I pack 10 then I only need to add a few extra on the next diaper day and we are good for the week! I pre-line my diapers for Ms. J to make life a little easier for her and a million times easier for me. This way I know every diaper is lined, she can dispose of the stinky stuff easily in the diaper genie and I am not stuck with spraying out a dirty diaper that is 8 hours old. One thing I got a ton of at my baby shower that I was certain I would use especially when out and about were wipe clutches. But even the most gentle of disposable wipes were too harsh for my Monkey so he is all cloth all the time. 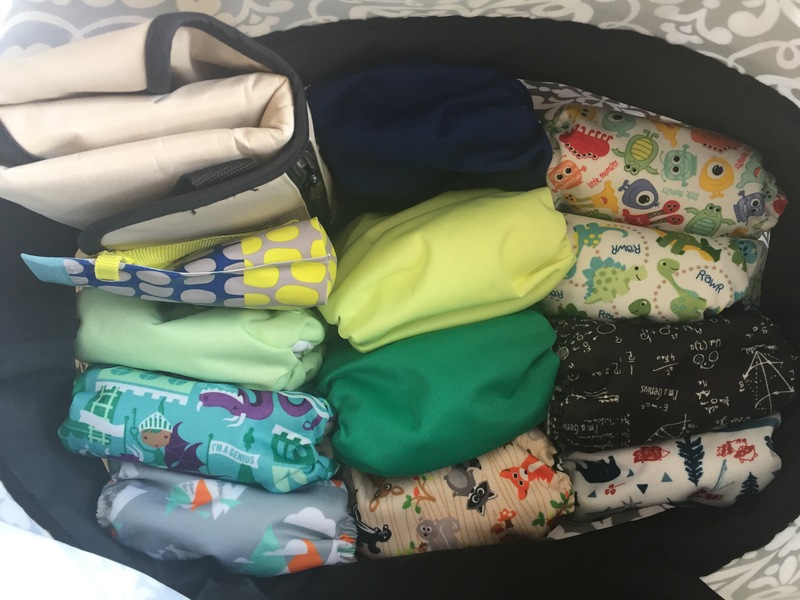 Up until it was time for me to start packing a diaper bag on a daily basis I thought these would end up in the donation bin; but after a little thinking I learned they make a great cloth wipe case! Next is a change mat. 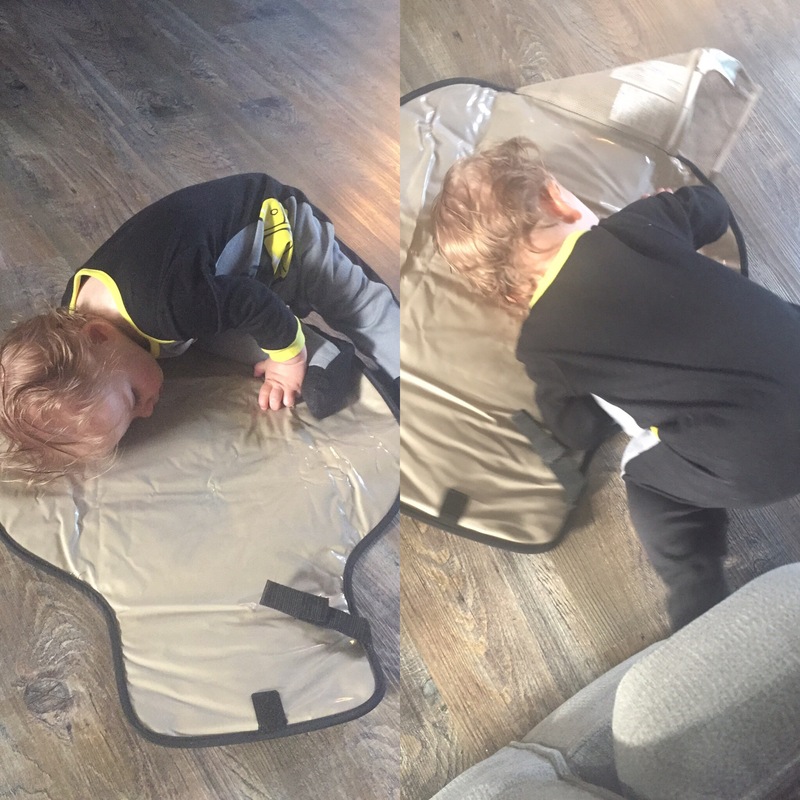 At home we use cloth ones a dear friend made that can get tossed in the diaper bin whenever we have an accident, but as per day care rules Monkey needs one that can be disinfected after each use. I picked up this cute little clutch one, that even has a space to store some dry wipes just in case we run out! 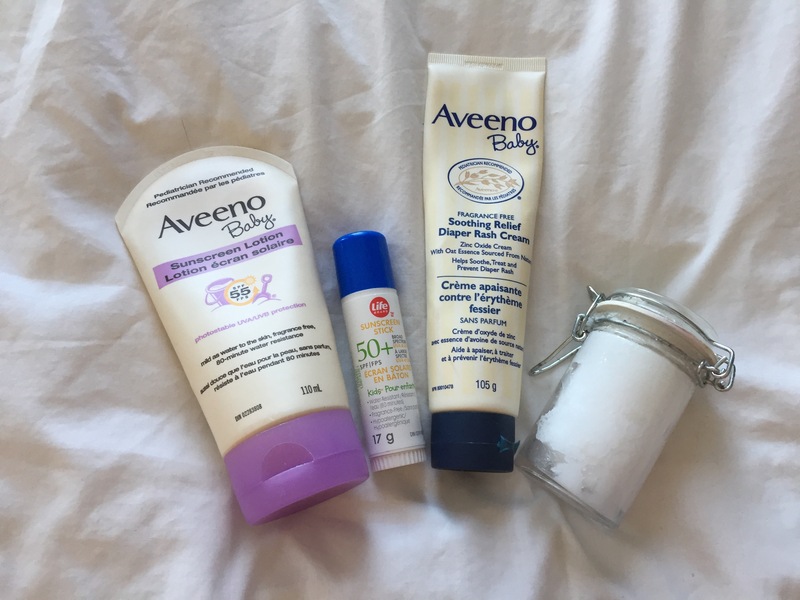 In the pouch of the wet bag I pack my trusty coconut oil and cornstarch as well as Aveeno Baby Soothing Relief Diaper Rash Cream. It’s one of the rare zinc oxide creams that is cloth diaper safe, and it’s a miracle worker! I also pack sunscreen because it’s FINALLY SUMMER! And lastly I pack the Muddy Buddy, swim gear, a hoodie and a few changes of clothing because let’s face it poo happens! Packing Monkey for day care sometimes looks like we are heading out for a week, but he always has what he needs. 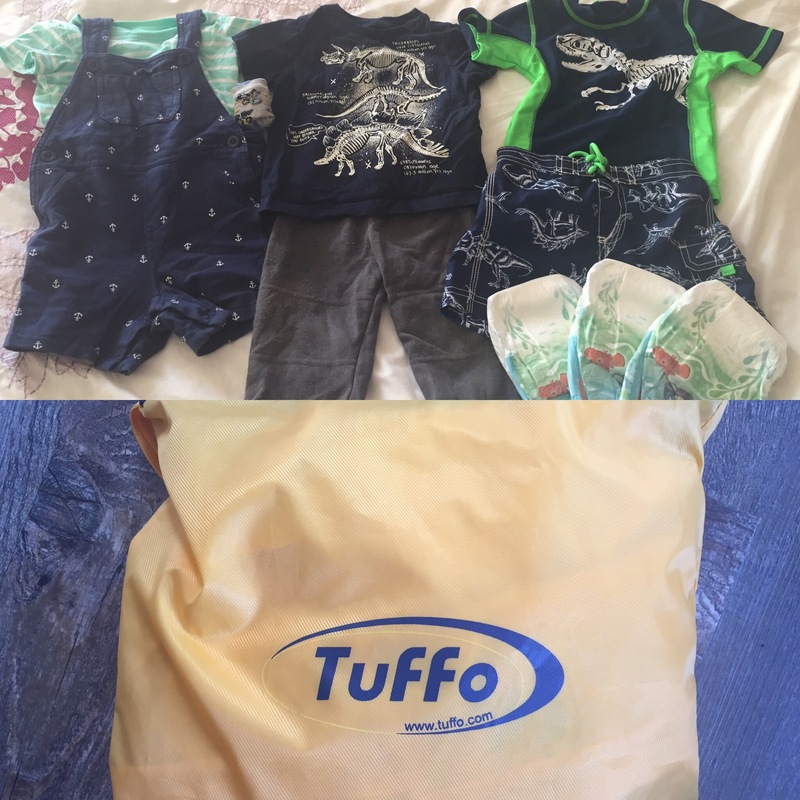 What do you pack in your day care bag? 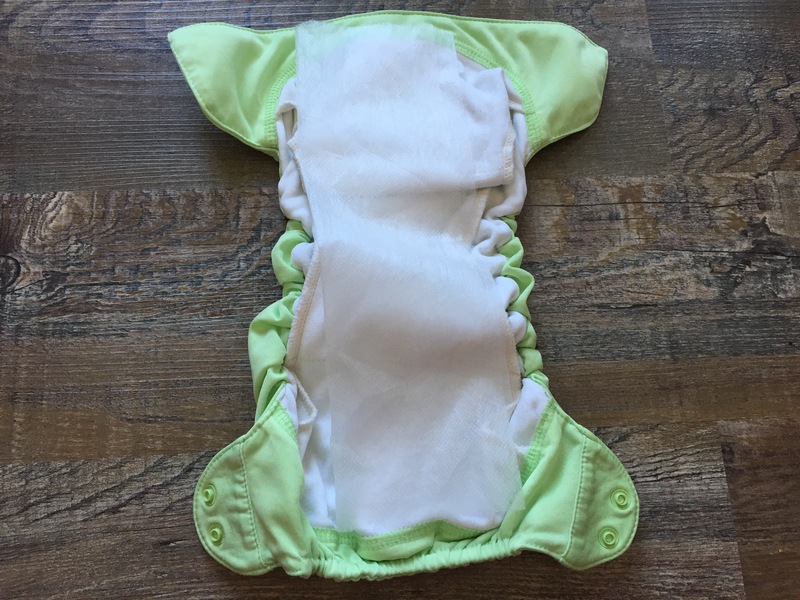 Do you use cloth at day care or did you switch to disposable? Let me know in the comments below! May Long with the McGills! 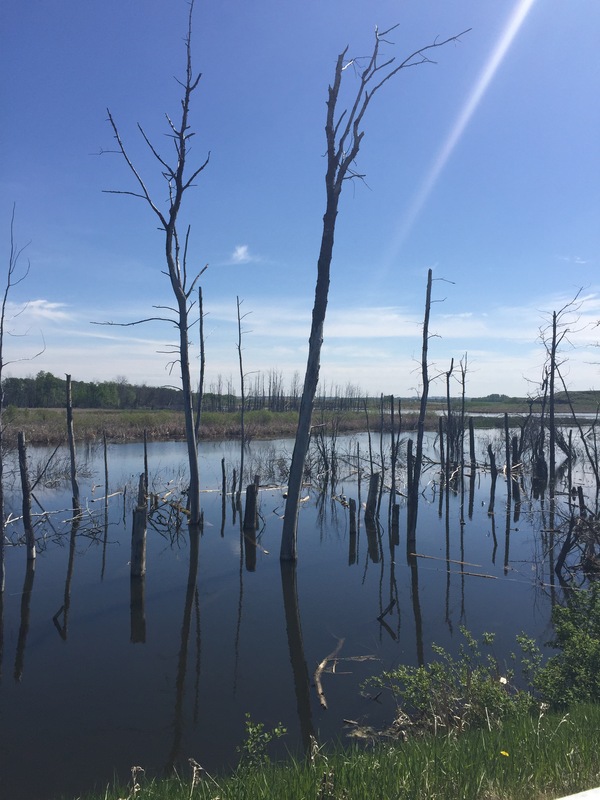 This past weekend is the famous May 2-4 Weekend, the “official” start to summer and is one of the biggest camping weekends of the year. In Alberta the amount of people in the campgrounds and back country this weekend astounds me. This is because it snows probably 70% of the time, rains about 25% and is cloudy with sunny breaks the remaining years. So this year like all the years before it we staycation. But that doesn’t mean we don’t have our fare share of fun! 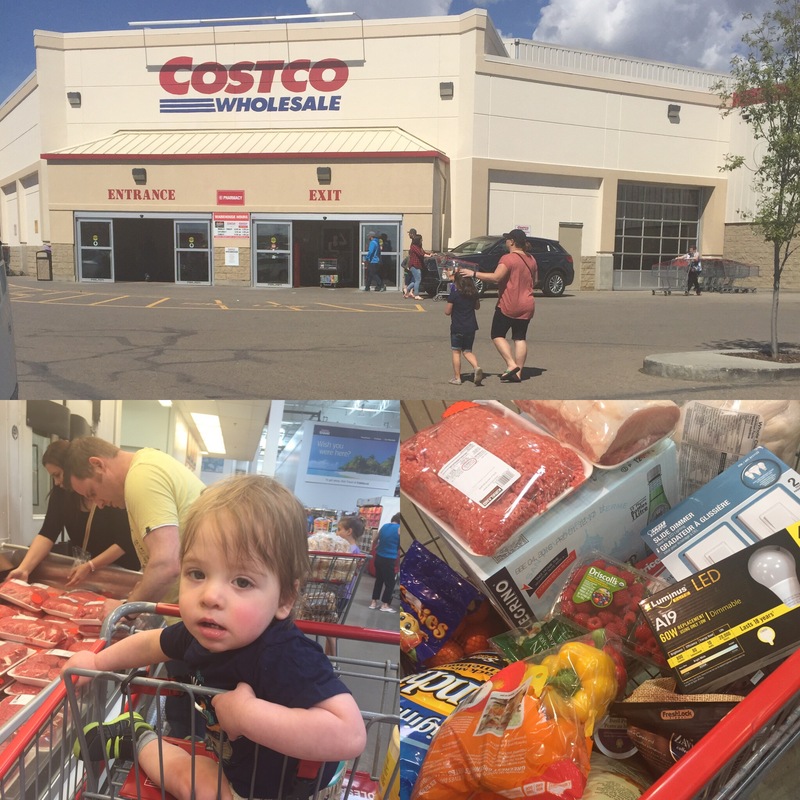 Our weekend started out with a trip to Costco, on a Saturday morning, of a long weekend. I know that Costco isn’t your typical adventure but for me who despises going there on a Wednesday morning when it’s completely empty let alone in the craziness that would be there this weekend, it takes more strength and determination than summiting Everest. But we survived and managed to pick up the fixings for our weekend of barbecues. 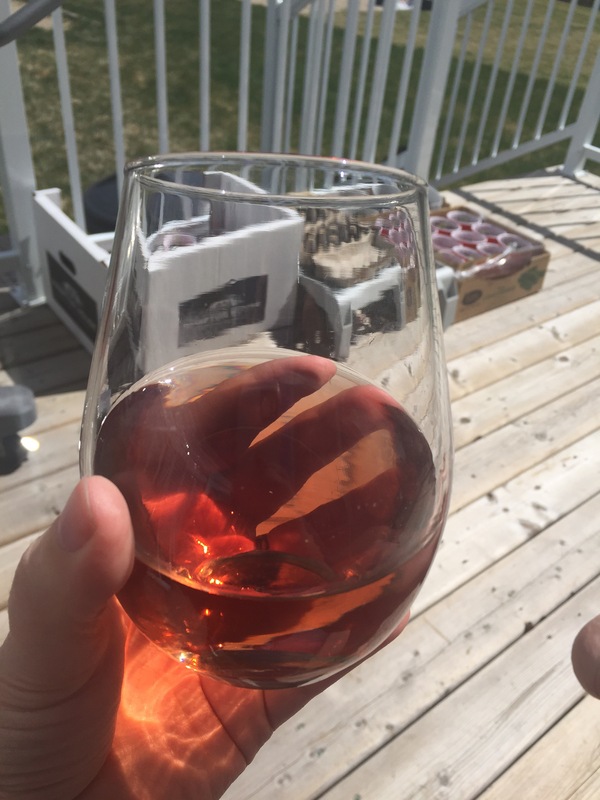 After surviving that adventure, and Monkey was down for his afternoon nap it was time for a little rosé and sun on the back deck. Once Monkey was awake the fun began. 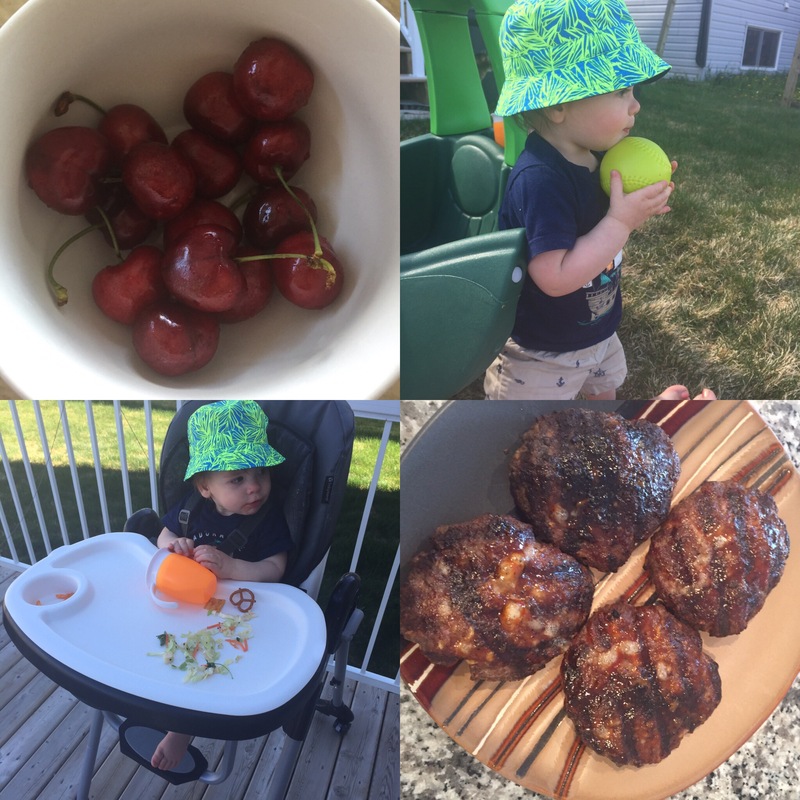 He has started to stand on his own and loves being outside thanks to Ms. J so with the sun high in the sky and grass finally soft enough for him to play barefoot we had lots of fun outside while Michael made is amazing burgers! And once the little monkey was sound asleep in his bed, it was time to relax with a little white wine on the deck while enjoying the warm spring evening air. 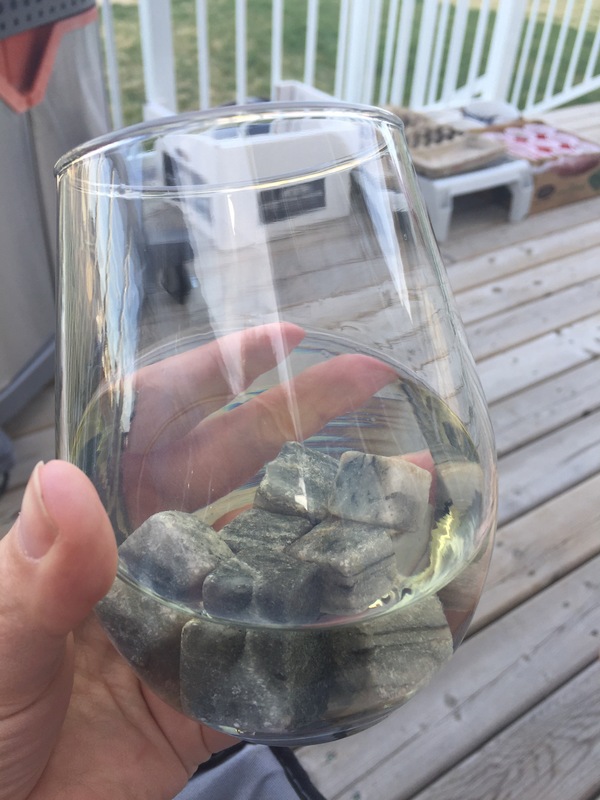 I had forgotten to put the wine in the fridge in the afternoon, so I used a gift that I find quite handy for when chilling the wine slips my mind… Chillin’ Rocks. They keep your drink cold while not watering it down like ice cubes tend to do. Sunday morning started like it always does, snuggles with Monkey, nap time and mass. On our drive home for Chruch the sun was high and the air was warm. Perfect conditions for a surprise! 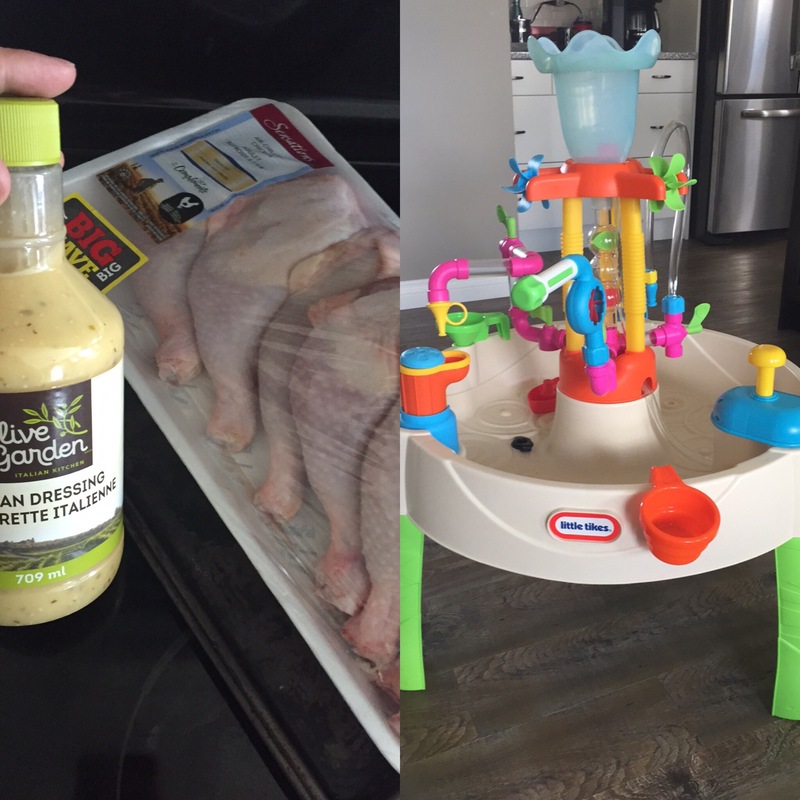 So while Monkey was napping Michael put together the last of the birthday gifts and I started to prep dinner for that nights barbecue. While Michael and Monkey enjoyed the water table, I womaned the grill. 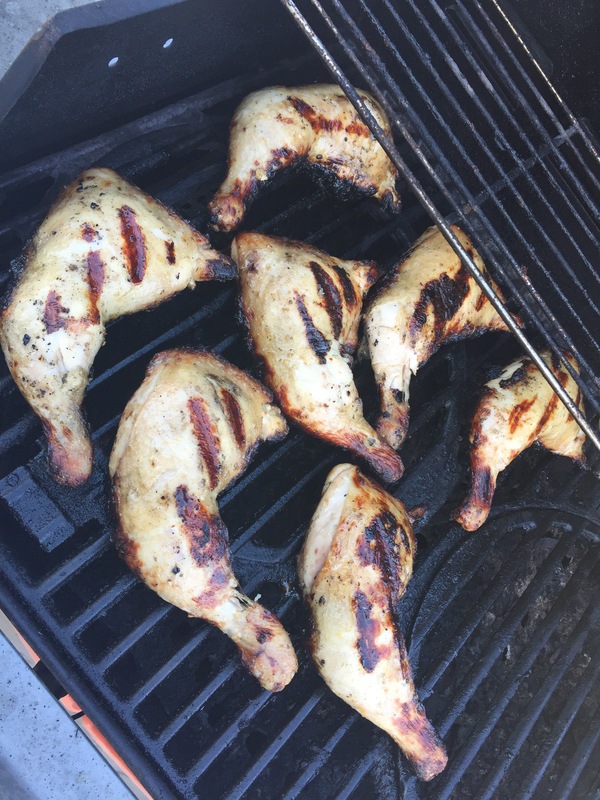 I marinated chicken legs in Olive Garden Italian Dressing all afternoon and then grilled them on the barbecue. 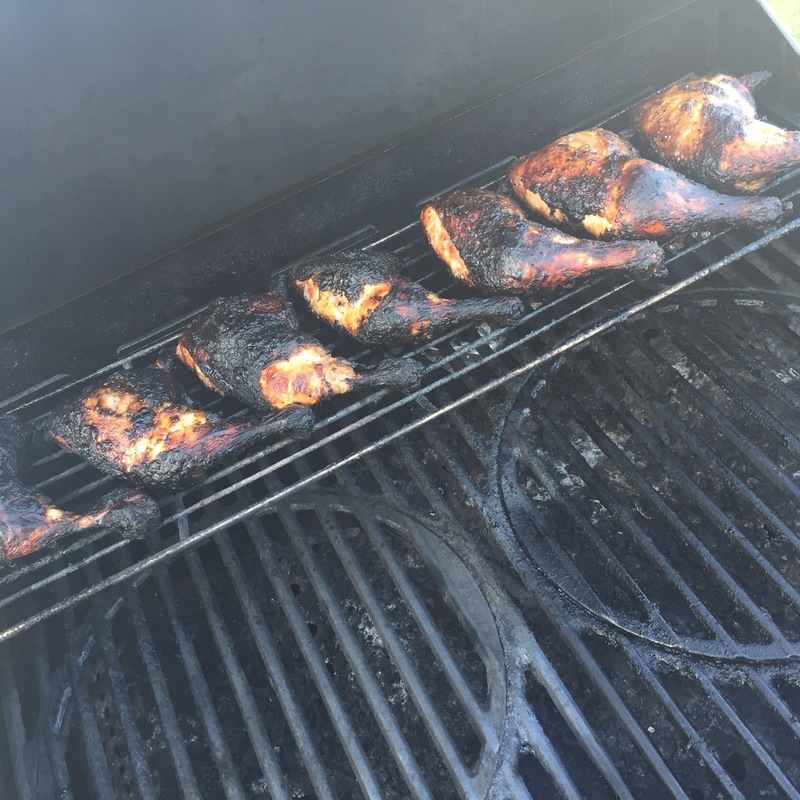 One thing I have never gotten the hang of is grilling chicken. 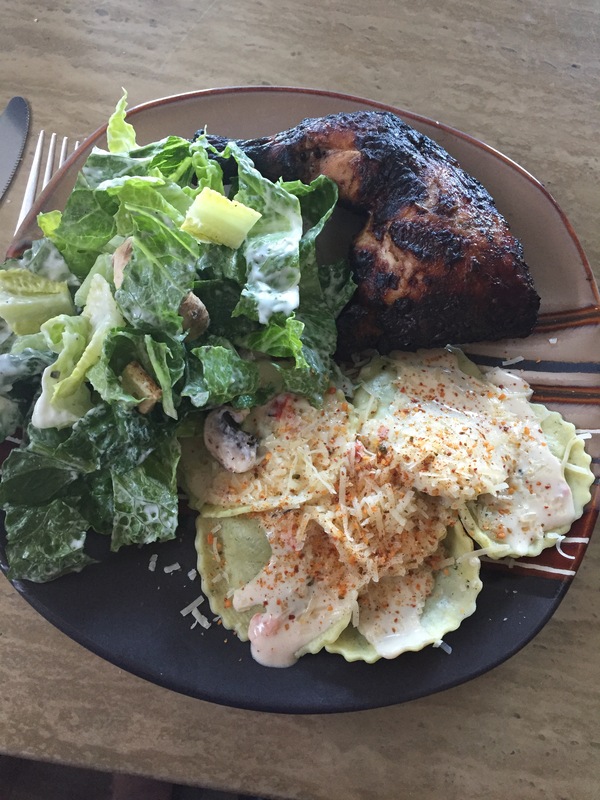 But on the bright side of things under the burnt skin was really flavourful juicy chicken that went well with Caesar salad, and spinach ravioli. I would definitely recommend using the dressing as a marinade, especially if you have better skills with the grill than I! On Monday it was just Monkey and I, like “the good old days” when I was home on maternity leave. We went on a nice long morning walk by the pond Had a play date at the park Stopped for some yummy snacks And ended the evening by sitting on the veranda, editing and eating ice cream at sunset! If you are Canadian like me how did you open summer this past weekend? If you are American what are your Memorial Day plans? I can’t wait to hear in the comments below!